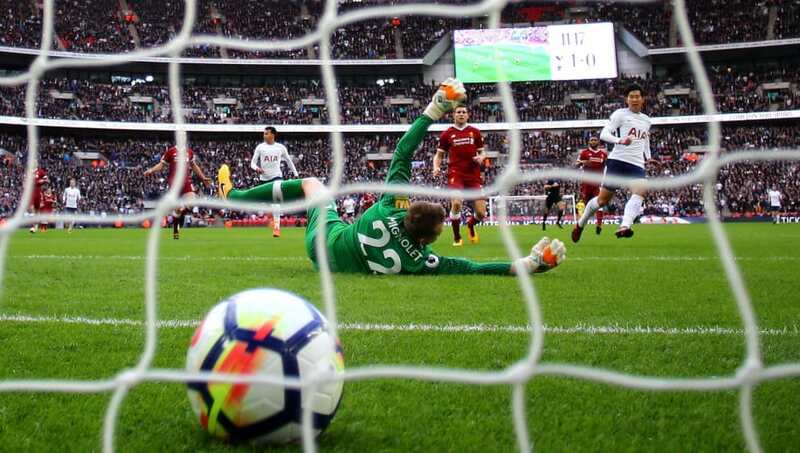 ​Spurs face ​Liverpool in this weekend's Premier League clash in Saturday's lunchtime kick-off, as the Reds look to continue their unbeaten start to the season. Spurs endured a 2-1 defeat prior to the first international break of the season against surprise package ​Watford. The Reds maintained their unbeaten start to the season against ​Leicester as they ran out 2-1 victors, with goals from Sadio Mane and Roberto Firmino. Here's everything you need to know ahead of the clash at Wembley. Five second half goals settled this fixture back in March 2003 as Liverpool battled to a 2-3 away victory in a Spring goal fest. Liverpool's victory helped them in their quest for European football, whilst Spurs' defeat led to a tenth place finish. An uneventful first half was quickly forgotten as left back Mauricio Taricco opened the scoring for Spurs four minutes after the restart. However, that lead was short-lived for the north London side as a 22-year-old Michael Owen hit back two minutes later. Liverpool then took the lead for the first time as Emile Heskey doubled the Reds' advantage with 20 minutes to go. A young Steven Gerrard gave Liverpool a two-goal lead with eight minutes left as he scored against Kasey Keller. Teddy Sheringham's goal three minutes from time made it a tense end to the hard fought fixture, but despite the late goal it was Liverpool who took away all three points. In form Christian Eriksen is in for a tough afternoon against combative midfielder James Milner. Fresh from his two goals against Wales during the international break, the Danish playmaker will have to be on top form to win the battle in midfield against Milner. The Liverpool midfielder has had a strong start to the season and his combative style of play could be used to throw Eriksen off his game. For Spurs, World Cup winning goalkeeper Hugo Lloris is expected to be sidelined once again due to a thigh injury. Fellow Frenchman Moussa Sissoko is sidelined, Dele Alli is out and Erik Lamela is racing to be fit after suffering a hamstring problem. As for Liverpool, other than the long-term injury loss of Alex Oxlade-Chamberlain, Croatian defender Dejan Lovren is out with a pelvic injury and Adam Lallana faces a race to recover from a groin injury to be involved against Spurs. The rest of the squad are available for selection. Potential Spurs Lineup: Vorm; Trippier, Alderweireld, Sanchez, Vertonghen, Davies; Dier, Dembele, Eriksen; ​Kane, Moura. Potential Liverpool Lineup: Alisson; Alexander-Arnold, Gomez, Van Dijk, Robertson; Milner, Wijnaldum, Henderson; Mane, Firmino, ​Salah. Three wins and one defeat in four games is still a good record for Spurs but against an in form Liverpool side it may be difficult. Liverpool have played some fantastic football this season and have remained unbeaten for a reason. Sadio Mane has been on top form this season with four goals in four games and if he continues in that vein, Spurs could be in for a difficult afternoon. Lucas Moura has also been on top form, earning the Premier League's Player of the Month for August, and he alongside Eriksen, Alli and Kane could also be the difference in this game.